By taking education outside the confine surroundings of a classroom, are we truly innovating education? Are we giving it wings so that it can fly across different spaces and corridors so that education can be enjoyed and nurtured by one and all? For a long while education meant sitting in the classrooms, studying what was being taught, and being a passive learner. But things seem to be changing now. Education has been roped in with technology to make the passive learner engaged and active. Technology has truly inspired students to learn! Haven’t you seen young kids these days listening to a self learning video and coming up with new words, surprising you completely? This may seem like an addiction, but if we continue to put technology to best use within our education systems, we might get a new and innovative learning system in hand. E-learning is not a fad as some people believe it to be! It is one of the many ways in which learning can induced in classrooms where a variety of learners are present. It makes education inclusive, a concept we have been working on for a while now. E-learning has not just made learning convenient but has also introduced concepts like flipped classrooms and engaged learning to the world. Since its inception e-learning has a concept has allowed facilitators of knowledge a platform to build convenient and active learning. It has equipped educators with a license to strategize the whole process of learning and make it available to everyone. Even when you are not in the class, you are benefitted through the various sessions of elearning which includes giving out proper lessons, enabling self learning, and making kids inquisitive. While the concept of e-learning has defined newer horizons for learning, it has also made learning innovative. The thought processes of both students and teachers are making the education a proactive affair. Inquisitiveness as such was rare in the introvert students, but with the set pace of e-learning, these kids have received a platform where they can contribute their questions and seek answers. 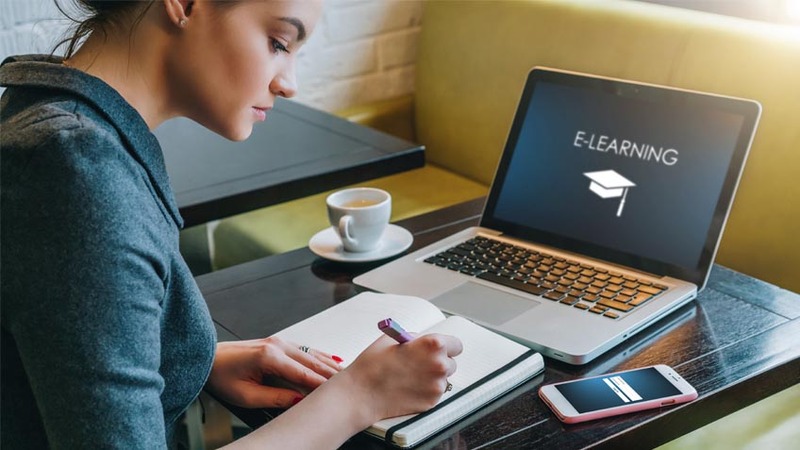 Innovation in the form of learning systems and education methods which includes gadgets like padlets and terms like 3D learning have been roped in with e-learning. Indeed the e-learning method has revolutionized the concept of education as a whole.